Do you reach for Q-tips or cotton swabs to clean your ears each day? If so, stop! And check out our newest blog to see what you should do instead. Think about your morning routine. Most of us hop into the bathroom to shower and prepare for the day ahead of us. As part of that process, many of us probably reach for some Q-tips or cotton swabs to clean out our ears. All is well, right? Wrong. And if we just described a normal part of your morning, this blog is a must-read. It may be common for people to “clean” their ears themselves, but it’s definitely not a good idea. Cerumen - what many of us call earwax - actually protects the ear from dust, foreign particles, and microorganisms. It creates a protective barrier designed specifically to catch these particles from entering our ears. It also acts as a lotion of sorts, keeping our inner ear hydrated. “Cleaning” our ears, therefore, puts them at risk - not only from a health problem related to infection or dryness, but also from a self-induced injury. That's because our eardrums and even the tiny bones of our middle ear are very easy to damage. Pushing an object too far into our ear is an easy mistake to make - and can have serious consequences. Stop inserting things into your ears to clean them. 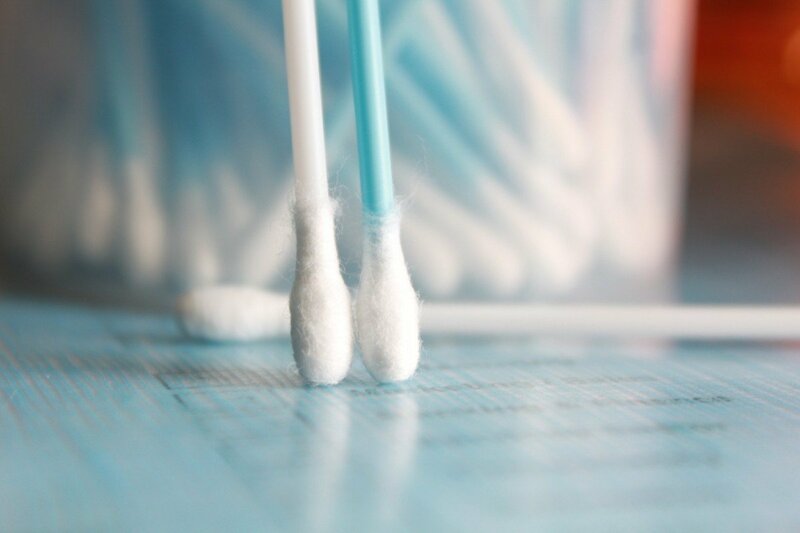 Cleaning out your ears by inserting a Q-tip or cotton swab into them is just not worth it. Doing so strips your ears of their natural protection; can lead to injury; and in fact, upsets the natural balance of your ears. Believe it or not, ears are self-cleaning organs. Your skin grows outward and naturally removes wax and skin debris over time. So instead of inserting things into your ears to clean them, you can gently wash the outer parts of your ear with a washcloth. This will effectively remove the debris from your ear that is ready to be discarded. Definitely, don’t insert pointy objects into your ears! When people feel as if something is in their ear, it's a common practice to reach for something sharp to remove it. From fingernails to pins to sewing needles, we've seen it all - and we're here to say it's just not worth it. That pointed end is one wrong move away from puncturing your ear, leading to injury, infection, or hearing loss. So keep sharp things away from your ear - period, end of discussion. Abandon the practice of candling. In recent years we saw a rise in the practice of candling, i.e. placing a hollow, cone-shaped candle into the ear, in an effort to draw wax out of the ear and to the candle. Research says this process does not work - and more importantly, it poses a serious burn risk. We say, skip it. Avoid deep-rinsing an ear with a syringe. It may be tempting to use a syringe to help clean out your ears, particularly if it feels like something is in them. However, doing this incorrectly can lead to ear infections should the ear not dry out properly afterward. This is one technique best left to the professionals. Contact your doctor if something feels wrong. If you feel as if something is in your ear, and it's not possible to ignore it, give us a call. Our team can examine your ear to ensure there are no serious medical issues behind your irritation. Based on our findings, we can offer the care you need to feel more comfortable. While it may feel weird and even bothersome, earwax is a natural and integral part of a healthy ear. And removing anything from the ear on your own is a dangerous practice that, at best, irritate your ears and prevent them from cleaning themselves naturally; and at worst, lead to injury. 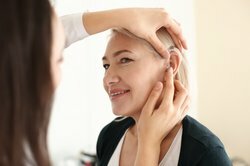 Do you have additional, specific questions or concerns about how to care for your ears? Do you need to meet with a hearing professional for a consultation or a hearing test? We can help! Just contact us via phone or request an appointment online. We’re here and we’re ready to ensure you can hear your best for years to come. Oct. 15, 2018, 11:50 p.m.